Another gift guide! I actually had 5 of these plotted out that I had planned on sharing with you, but then - life happened. That's pretty much my daily excuse for everything, but is it any less true? 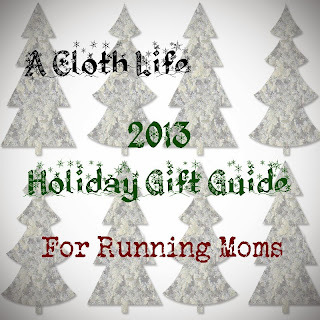 So, I'm a runner, and I'm a mom, and these are some running related gifts I'd genuinely like to get. Are you listening? I think I'll add all these items to a zift list, and maybe some super generous reader will pitch in on something. Right. Like I'm Jenny Lawson. Here's to wishful thinking anyway! Some links may be affilliates, most are not. 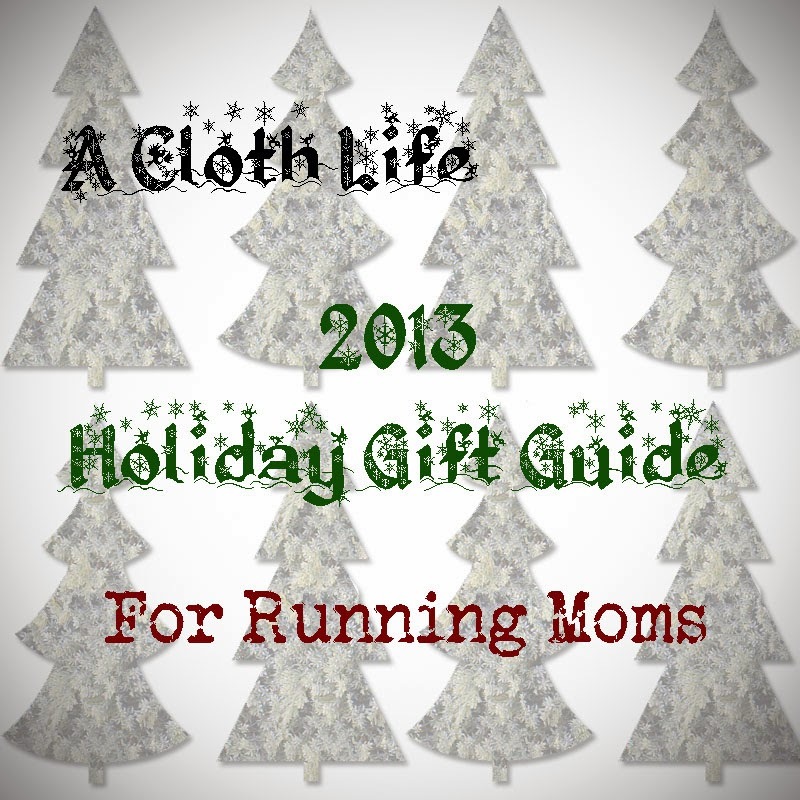 Be sure to check out my gift guides for Expectant Moms as well as Family Gifts. 1. SKORA Running Phase-X running shoes. While I'm not ready for barefoot running, I do love me some zero-drop heels while hitting the pavement. I've had great success with the Base model, and I'd love an upgrade to the Phase-X. Frankly, you should too. 2. Koss FitClips. Okay, I actually already own a pair of these, so I'm honestly just vouching for how awesome they are. 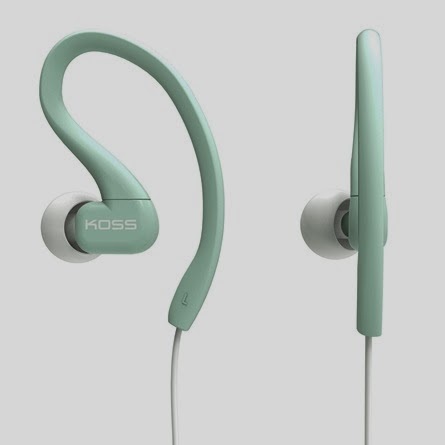 They come with 3 different sizes of earbuds, so you can choose the size that's most comfortable for you. I'd never tried clips before, but my other earbuds always seemed to work their way out while I ran - which is extremely annoying. I think it may have had something to do with the extreme amount of sweat I tend to produce, but that's another (gross) story for another time. 3. 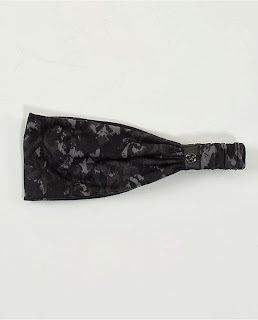 A running belt. There seems to be a ridiculous number of options for these, but the top runners in my wish list are FlipBelt, RooSport, and Fitletic. And okay, so RooSport isn't a belt, but I'm not looking to hold my pants up with these - I'm looking to carry things like my phone, my keys, my ID, and one day some gels or something for longer distances. 4. 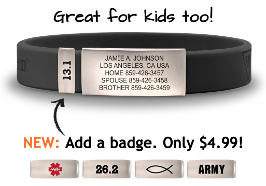 RoadID. Functional and fashionable. They offer a ton of safety products for runners from ID bracelets to flashing lights for nighttime runners. I want, I want, okay? First of all, I actually like the look of the Wrist ID Slim (in teal, if you're wondering...). Secondly, you know my dream to run the HTC (Hood to Coast relay), and for some reason I always imagine myself running at least one leg in the dark. For that, RoadID offers some awesome high visibility gear. 5. Rock My Run subscription. I actually have a free membership, but I wouldn't mind an upgrade to be able to access some of their longer mixes. Rock My Run offers some pretty awesome options of music mixes tailored to your preferences in music as well as your race distance and preferred pace (based on average heart rate). I'm not ashamed to say I'm a big fan of what they have to offer. 6. Good compression socks. You know my favorite are SLSTri, but your loved one may have different preferences when it comes to their socks. It honestly took me way too long to figure out how important all the different nuances available can be in finding "the right pair." 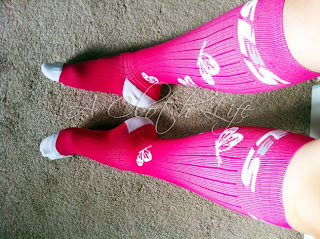 A good pair of compression socks can definitely make a difference in a long run and in your recovery. 7. 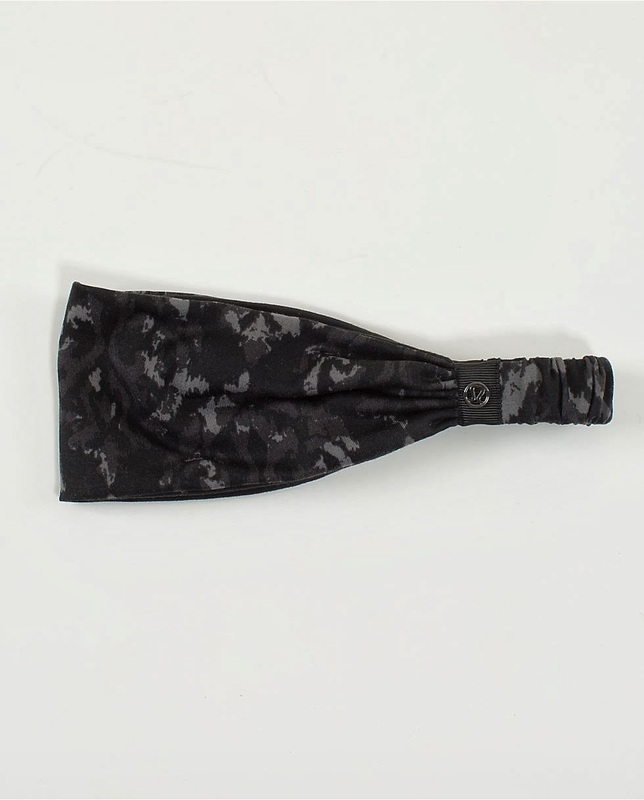 Headbands. I have a couple that I depend on, but they're nothing to brag about. A few brands I've heard AMAZING reviews on that I would LOVE to try (hint, hint, right?) are BondiBand, Lululemon Bang Buster, and Sparkly Soul (I'd go with the wide option). 8. Jump rope. 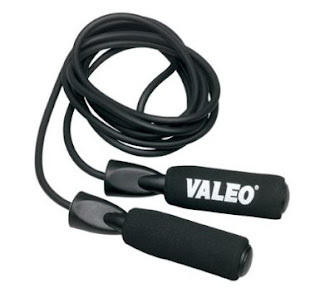 I know this is something you use in actual running, but using a simple jump rope will seriously improve your strength and endurance on the road. Make the ridiculously low investment - this is a perfect stocking stuffer! 9. Fitness Tracker. This means a lot of different things to a lot of different people. I get by using various apps on my phone, but I'd love something a little more... gadgety. A lot of runners swear by their Garmin. I certainly wouldn't mind having one of my own. 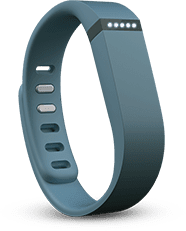 I'd also love to get my hands on a FitBit Flex or a Jawbone UP24. 10. 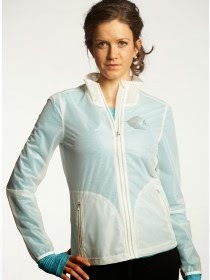 The Oiselle Flyer Jacket. This is pretty much the creme de la creme for running jackets, and way out of my current budget for things I would buy for myself, but I covet. I am definitely and unabashedly coveting this. Not only is it an attractive piece of apparel, it's lightweight, waterproof, windproof, insulating, and doesn't make that annoying sound you think of with most waterproof running jackets. *sigh* I live in Oregon, yo. I need this. What do you think? What running gear are you hoping to get this year? Anything I should add to my list?